We are happy to report that approval has been secured for the Christmas Ice Rink at Strawberry Hill House, which will now be open to the public from December 6th through to January 25th 2015. 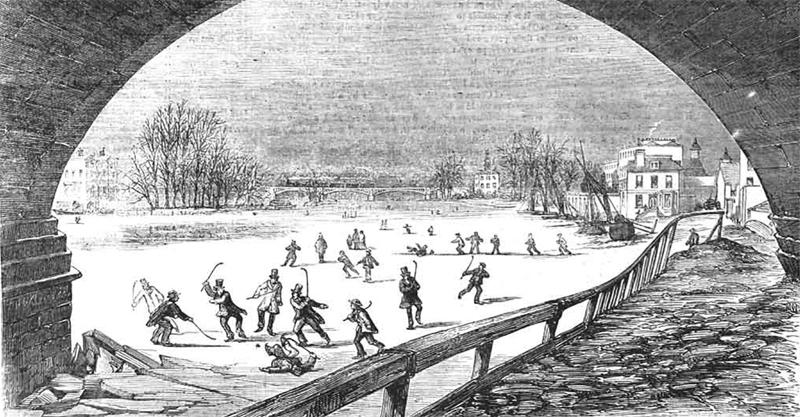 As the wonderful Victorian illustration above demonstrates, ice-skating has, for a very long time, been a popular recreational activity in our area – either on the frozen River Thames or at the much-missed Richmond Ice Rink. Residents of our Borough have often asked why the promised replacement for Richmond was never delivered. Therefore, Stone Rowe Brewer LLP were delighted to become one of the partner companies that helped bring the temporary rink to York House last year, and now to the magnificent Strawberry Hill House. By providing the legal expertise that was necessary, the Borough of Richmond once again has a rink to be proud of – one that will hopefully return year after year.